When Kerra, a native Zimbabwean, heard that some Americans were staying overnight in Victoria Falls, he asked if he could talk to us about his hero, the Great Liberator of Africa. I copied down as much of the story as I could, but Kerra talked very fast and I was only able to catch a portion of the story, and I suggest that you look elsewhere for the complete story of Dr. David Livingstone. Historically, the tribes in Africa have fought amongst themselves for four reasons: to obtain goods, to obtain women, to obtain slaves, and because of the basic law of the jungle, which is that only the strong survives. The less competition there is for limited resources, the fewer people trying to live off the same piece of land, the better. There is no written record of sub-Saharan African history before the arrival of the British. For the nomadic San—the only indigenous tribe in southern Africa—history only goes as far back as their grandfathers’ time because their great-grandfathers failed to pass the stories onto their children. San ceremonies include mythological elements that probably mirror some of the tribe’s historical record, but experts disagree about which ones and what they mean because the story itself is gone, so we will never know the extent of what’s been lost. In San mythology, there is a god who is responsible for all creation, but he’s not responsible for much else. He’s not all powerful. Guardian angels, who are ancestral spirits that can intervene on your behalf with Fate and Destiny, are much more powerful than any San god, including the Creator of the Universe. There was not much interest in gods for the San before the British. The San are nomads who follow nature—much like your Native Americans—so being able to read the weather was more important than trying to understand the mysterious motives of an invisible god. For the San, their most important gods were the Sun and the Rain, and their rituals were directed to them. They asked for sun, but not too much and not too little, and for rain, but not too much and not too little. 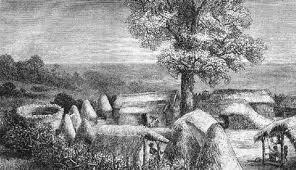 There is no word that the San use to describe the migratory life they live to differentiate it from the life of those in the trading settlements that have begun to appear beside their trails, but they do say that they live in “time” and the house dwellers do not. For most Africans before the British arrived, Mother Earth was actually several goddesses, and they each had to be appeased for any of them to be happy. The first was the goddess as the sweet innocent, the child, the daughter. Then there was the bride with her hips like an open furnace, through whom the universe gives birth. Then there was the wise and bony crone, the bride after she’s known death. The greatest god of all for the San, however, was the cycle of birth and death, because all of Nature was subject to birth and death. At the time that Doctor David Livingston arrived in Africa, most tribes had a triangular structure, with a single chief at the top, and then a collection of elders and advisers, and then the rest of the tribe. The average tribesperson was voiceless, even within their own families. Any and all decisions were made by consulting the elders and chief. But Doctor David Livingstone questioned this system. He painted a picture of a tribe where every individual’s voice could be heard. And he taught them about other human rights and respect for others, for we are all equal under God. And he told them that if they could learn to overcome their tribal structures, they could teach other tribes as well. In Doctor David Livingstone’s later years he took on the slaving companies, and for that reason he is known by the Africans as the Great Liberator, the godfather of the emancipation of Africa, the prophet of the end of the long history of Africans exploiting and killing other Africans. Doctor David Livingstone died believing that the next generation of Africans would be transformed by Western ideas of freedom and democracy and tolerance and fundamental human rights, and that this would help them realize all of Africa was one country and one people. That future generation Doctor David Livingstone was talking about is my generation. Doctor David Livingstone stepped into the most confused generation of Africans. We Africans say that the British and Portuguese conquest of Africa and colonialism had both pains and gains. It brought civilization to the jungle, but it was built on the theft of private land and the enslavement of natives, as well as legal injustices. The missionaries who arrived with the first ships set up churches and hospitals, and fed and healed the natives, and on Sundays they taught a form of Christianity that was based on selected Christian teachings, such as “turn the other cheek,” and “the meek shall inherit the earth,” and “love thy neighbor,” and “trust in God’s will and a better life to come”—attitudes that made it easier for the Africans to be subdued and controlled. Within a generation of this, the Africans were a de-cultured, tradition less, unhistoried, emasculated, hopeless, landless people. What little they had—which had been enough to live on—was gone. In the mid-nineteenth century when Doctor David Livingstone arrived, Africa was still the dark continent for much of the outside world. 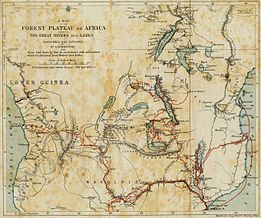 His writings reported to England, and then Europe and the Americas, the real Africa he discovered as he traveled up the Zambezi River on the first of several government grants to find and map the source of the Nile. On the way he “discovered”—these were no surprises to the natives of course—and named Victoria Lake and Victoria Falls for his queen. 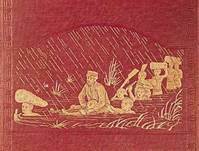 The British dailies printed his reports with illustrations of magnificent landscapes and new species of birds and flora he discovered, and his encounters with lions and leopards and elephants and local tribesmen, some of them still cannibals. He lived with the tribes he came upon, often learning their language, asking about the meaning of their costumes and rituals, living their daily lives, and reporting to the world what he discovered. 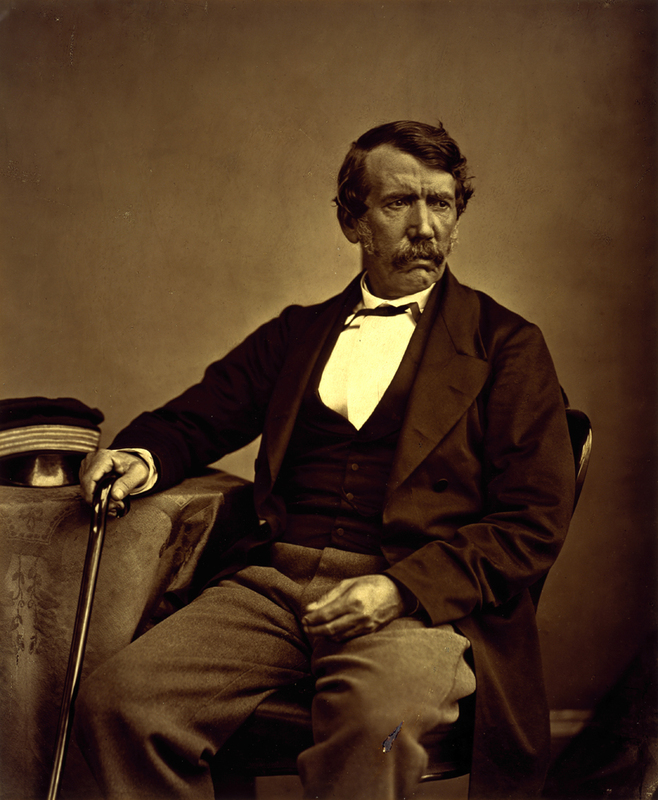 David Livingstone was born in a family of nine living in a single room outside of Glasgow. 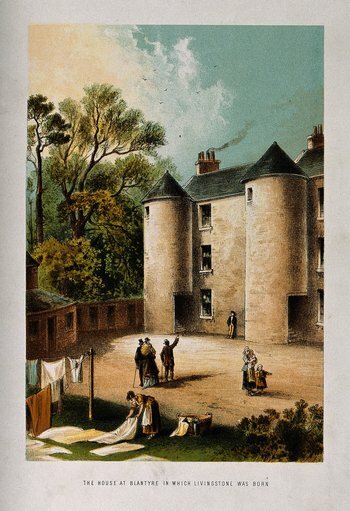 The Livingston family was too poor and there were too many of them to afford rooms even in a Glasgow slum, but by the age of fourteen, David Livingstone had put himself through university, including medical school, to become a surgeon. In order to become a doctor of surgery, you had to master every subject in the curriculum—you had to be a master of physics and mathematics and Latin and the classics, as well as skilled in medicine, disease, anatomy, anesthesiology, and surgery. But upon graduation, Doctor David Livingstone never practiced medicine or surgery. Instead he left for Africa to join the missionary work of Robert Moffet. On his first trip to Africa, Doctor David Livingstone was surprised by a lion. They raced and the lion won, biting deep into his shoulder. At the moment the lion bit into him, Doctor David Livingstone had a vision of how ridiculous it was that he had traveled 3000 miles in order to be eaten alive by the first lion he encountered. And he began to laugh, which so confused the lion that he ran off. But the wound became infected and Doctor David Livingstone knew he had to get rid of the necrotic tissue before it festered, so he created maggot farms by leaving meat out in the sun, and he placed live maggots in his wound, and when they’d eaten away all of the dead tissue, he disinfected the wound with brine and brandy. This treatment went on for an entire year. When Doctor David Livingstone was finally well enough to travel, he did not leave Africa. He did not want to return to England as one defeated by Africa. In his year-long recuperation it had become clear to him that one day he would die, today or fifty years from now, and he knew he had one chance to make the best use of this brief span of time by finding a cause he was willing to die for. In his short time in Africa he had already made many friends among the natives, and he learned fifteen of their languages, which is thought to be a record, certainly for a European. He saw that not being able to communicate with each other had turned Africa into a kind of Babel, but it was also clear to him that underneath their different languages they were all Africans. He became convinced Africa needed to find one unifying religion. As a Christian, he used the Bible to teach that all people were equal as the sons of God and that they had been instructed by Jesus to be their brother’s keeper. And Doctor David Livingstone knew where this message was needed most. Whenever we think of the slave trade, we think of white merchants, but the African slave trade pre-dated the arrival of the Europeans, and even when the white merchants did arrive to trade, the only thing the Africans had to trade was slaves. England didn’t even allow slavery at the time—the boats had to travel to the Americas, and they’d return to England with sugar, gold, tobacco, and cotton. Doctor David Livingstone decided to go to Lake Nyasa, where 20% of the African slave trade was conducted. 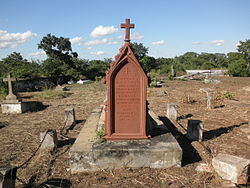 But he was still in Africa on a royal commission to map the Zambezi River, so first he had to resign his commission. When he announced to the forty men who remained alive of the one hundred he’d arrived with a year before that he was going to Lake Nyasa to try to abolish the slave trade, they all decided to follow him to Lake Nyasa. When he arrived, he set up a hospital, and met with the clan leaders, and told them what he was there to do and why: he told them he was there to end the slave trade. What is ironic is that many times Doctor David Livingstone would have died if not for the slave traders’ help. The first thing Doctor David Livingstone did was to raise funds through his missionary work as well as appealing for donations from the English and later the Americans too, and with those funds he bought slaves and freed them. Most of these freed slaves stayed with Doctor David Livingstone and his forty men, although he didn’t request that of them. He began to teach those who stayed what he knew of medicine and law and philosophy. 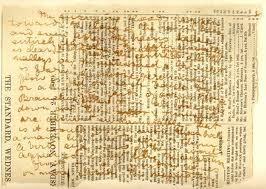 As soon as Doctor David Livingstone decided that this was his life’s task, he sent for his wife to join him. Within two years she had died of malaria, but Doctor David Livingstone did not leave Africa even after the country had killed his wife. The British public considered Doctor David Livingstone a national hero and a Christian saint, but the British government realized that he was no longer under their control, and with all of this attention on his work to end the slave trade and unify Africa with an eye toward home rule, the British were concerned for the Empire’s interests. For them, the less the world knew about what was going on in Africa, the better. The British government was certain that Doctor David Livingstone’s motivation was more political than social; that he himself wanted to be the ruler of this new, free Africa. First the government tempted Doctor David Livingstone with a knighthood and a private meeting and public appearance with the Queen herself. When he said he wasn’t interested in a knighthood or meeting the Queen, they told him he could do more good for Africa in England than dying there. His wife was already dead and most of his men. The locals could continue his work without his physical presence. Why not write his memoirs, or raise money for his mission in London, where the money is? Or they could honor him with a lifetime Oxford appointment and no active responsibilities. He could do whatever he wanted, they made it clear, but he would have to promise not to speak publically or publish any writings on the subject of slavery or home rule for the Africans. Doctor David Livingstone wrote back that he would sacrifice his life by staying in Africa happily if it meant freeing more African slaves. Then the British government sent Doctor David Livingstone’s son Ronald to encourage his father to return to the United Kingdom. But Ronald had never forgiven his father for his mother’s death, and there was such conflict that Ronald soon fled Africa. In a curious twist, he went to the United States and enlisted in the Union Army and was killed in battle. 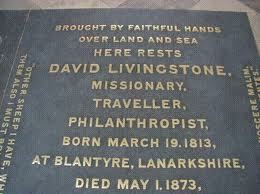 So Doctor David Livingstone’s son died fighting to end slavery, but in a different way and on a different continent. In the days before the beginning of the American Civil War, there was a lot of pressure on Britain to find a solution to the Livingstone situation. To the people of England and Europe and the Americas Doctor David Livingstone was a folk hero. And the American government wanted the British to find a way to control the Livingstone situation before it disrupted the flow of cheap labor into the South. So the British government ordered him to return to Britain and when he refused they cut off his food and medical supplies, as well as his communications with the outside world. But Doctor David Livingstone and his men continued their work freeing slaves in Nyasa until they ran out of supplies and had to be rescued themselves by some other missionaries. There had been no word from Doctor David Livingstone in the four years following his being shut off by the British government, but the story wouldn’t die. Eventually the New York Herald sent reporter Henry Stanley to Africa to find him. By then most people assumed he was dead. 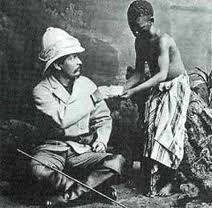 When Stanley found Doctor David Livingstone at Lake Nyasa he is supposed to have said, “Dr. Livingstone, I presume.” Stanley stayed with Doctor David Livingstone for two years and became his mouthpiece for the outside world. 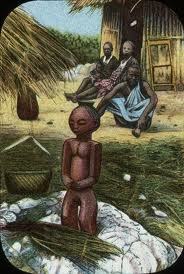 By this time, Doctor David Livingstone had physically adapted to Africa. He was almost 60 and had spent more than half of his life here. 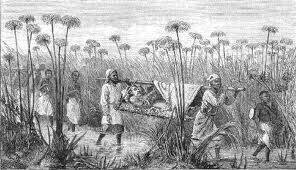 But even the natives were surprised how well he fought the malaria that would eventually kill him. Ninety percent of those infected with malaria die within 48 hours, even with quinine treatment, but he lingered for two weeks before he developed bleeding hemorrhoids and bled to death overnight. His native companions buried his heart under a tree in what is now Zambia and put a letter where the heart had been that said, “You can have his body, but his heart belongs to Africa!” Then they walked for over a year to cover the 1500 miles to the nearest port, with Doctor David Livingstone packed in salt in a coffin on their shoulders. This event inspired wonder wherever it was reported. Salif Keita was born in the village of Djoliba on August 25, 1949, as a member of the royal caste of the Mandinka tribe and a direct descendent of the founder of the Mali Empires, Sundiata Keita. Born with albinism, he was cast out by his family and ostracized by his community as a sign of bad luck. As a member of the royal caste, he was not supposed to become a musician, but he left Djoliba for Bamako in 1967, and joined the Super Rail Band de Bamako, and in 1973 joined the group Les Ambassedeurs and became known as the “Golden Voice of Africa.” He had to flee Mali in in mid-1970s for Cote d’Ivoire and changed the band’s name to Les Ambassadeurs Internationaux. In 1984 he moved to Paris and attempted to reach a larger audience, and in 2000 moved back to Bamako where he built a recording studio and returned to more traditional Malian musical styles. He has recorded with Joe Zawinul, Wayne Shorter, and Carlos Santana. Buju Banton is a Maroon reggae musician who was born in a poor area of Kingston, Jamaica as Mark Anthony Myrie on July 15, 1973, the youngest of fifteen children to a mother who was a street vendor and a father who was a laborer in a tile factory.Buju (breadfruit) is a nickname given to chubby children and Banton means “storyteller.” At 12 he began toasting. In 1992 his debut album Mr. Mention became the best-selling album in Jamaican history and he broke Bob Marley’s record for greatest number of number one singles in a year, but he was also dropped from WOMAD that year because of controversy over his homophobic song “Boom Bye Bye.” In 1993, two of his friends were murdered and he moved away from violent lyrics in his songs, and in the mid-1990s he converted to the Rastafari faith. In 1998 he recorded with the punk band Rancid and in 2009 he recorded with Wyclef Jean. His 2010 album Before the Dawn was winner of the Best Reggae Album Grammy while he was on trial on drug conspiracy and firearms charges, for which is he currently serving a 10-year sentence in federal prison. Smriti Minocha was trained in Hindustani classical music and has performed on the soundtracks of many Bollywood films, as well as albums by Mariam and Amadou, the Japanese musician Tomuya, and French singer Pascal Heni and French DJ Le Tone. Toumani Diabate was born on August 10, 1965 into a 71-generation family of kora players, including his grandfather Sidiki Diabate, who recorded the first kora album in 1970. His cousin Sona Jobarteh is the first known female kora player. He has recorded with the flamenco group Ketama, Taj Mahal, Roswell Rudd, Ali Farka Toure, and Bjork. Ketama (named after a valley in Morocco) are a Spanish New Flamenco group formed in Madrid in the early 1980s from members of three of the great flamenco families—the Heredias of Madrid, the Habichuelas of Granada, and the Carmonas of Jerez. Danny Thompson was born on April 4, 1939, in Teignmouth, Devon. In his first skiffle band he played a bass which he built himself out of a tea chest and a few years later bought his first second-hand double bass for five Pounds. It was built in 1865, and it is the bass he still plays today. 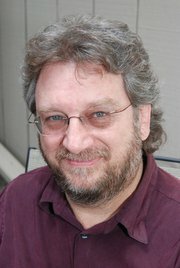 He was a founding member of Pentangle, and has recorded with Alexis Korner’s Blues Incorporated, Richard Thompson, John Martyn, Nick Drake, Roy Orbison (touring with him in 1963), Freddie and the Dreamers, Tom Paxton, Donovan, David Sylvian, Kate Bush, Mary Hopkin, Loreena McKennitt, Tim Buckley, and Davey Graham. He converted to Islam in 1990. His son was the drummer for the British prog-rock band Hawkwind. Angélique Kpasseloko Hinto Hounsinou Kandjo Manta Zogbin Kidjo is a singer born in Contonu, Benin to a Fon father and a Yoruba mother. She began performing at the age of six in her mother’s theater group, and formed her own band while still in school. She has her first hit in Africa when she was still a teenager, and left for Paris in 1983, where she worked day jobs to pay for her tuition to study music at a jazz school, and sang back-up in several bands. Chris Blackwell signed her to Island Records in 1991 and she released four albums with them before signing with Columbia Records in 2000. Her first Columbia album was produced by the drummer from Miami Sound Machine and featured Branford Marsalis and reached number one on World Music charts. Her second album was recorded at Prince’s Paisley Park studio. She returned to Benin to record her third album, with Carlos Santana. Her fourth album featured Cassandra Wilson, Branford Marsalis, and Kenny Kirkland. Since then she’s recorded with Gilberto Gil, Dave Matthews, Josh Groban, Alicia Keys, Joss Stone, Peter Gabriel, Buddy Guy, Vernon Reid, will.i.am, Bono, John Legend, Amadou and Mariam, Ziggy Marley, Youssou N’Dour, members of Los Lobos and Vampire Weekend, and was part of the 1998 Lilith Fair. Time Magazine called her “Africa’s premier diva” and she was named by the BBC as one of Africa’s 50 most iconic figures, and the Guardian listed her as one of the Top 100 Most Inspiring Women in the World, the Daily Telegraph named her “the undisputed queen of African music” during the 2012 Olympic Games, and she is the first woman listed among the 40 Most Powerful Celebrities in Africa by Forbes Magazine. She sings in Fon, French, Swahili, Yoruba, and English, as well as a language she’s invented herself. She now lives in NYC. Ali Ibrahim Toure (10/31/39-3/7/06) was a singer and guitarist born in the village of Kanau on the Niger River in the region of Tombouctou of Mali who moved to a nearby village of Niafunke while still an infant. He was the tenth son of his mother but the only one to survive past infancy and they gave him the nickname of “Farka” (donkey) in the hopes of giving him its strength and tenacity. He was the first African bluesman to become famous in Africa and then throughout the world. His 1994 LP with Ry Cooder was an international hit but marked his retirement from music until 1999, when he released Niafunke, an album of more traditional African music. Martin Scorsese made a film in 2003 about the roots of the blues (“Feel Like Going Home”) featuring Toure and Corey Harris (a blues and reggae musician). In 2004, Toure became the mayor of Niafunke and spent the money he’d made from music to create roads, build sewers, and fueling a generator that brought the village electricity. He died on March 7, 2006 of bone cancer. Henry Saint Clair Fredericks (Taj Mahal) is a self-taught guitarist, banjo and harmonica player, who was born on May 17, 1942, in Harlem, NYC. His mother was a member of a local gospel choir and his father was a West Indian jazz arranger and pianist (who was named “The Genius” by Ella Fitzgerald) who were both involved with the Harlem Renaissance. Many musicians stayed at his family’s house in his childhood as they performed or traveled through NYC. He was introduced to world music by a shortwave radio his father owned that could receive music broadcasts from around the world, and he also studied classical piano as a child, as well as clarinet, trombone, and harmonica. When he was eleven years old his father was killed when he was crushed by a tractor on a construction accident. His stepfather owned a guitar, and at thirteen he began to take guitar lessons from the nephew of Arthur Big Boy Crudup. In high school he formed a doo-wop group. At sixteen he wanted to become a dairy farmer and by nineteen had become a farm foreman. He came up with his stage name of Taj Mahal when he began having dreams about Gandhi and India in 1959 while studying animal husbandry and veterinary science and agronomy at the University of Massachusetts, but he also started a rhythm and blues band called Taj Mahal & The Elektras. In 1964, he moved to Santa Monica, California, and formed the Rising Sons with Ry Cooder, which were signed to Columbia Records, one of the first multi-race bands in the U.S. At this time Taj Mahal also worked with Howlin’ Wolf, Buddy Guy, Lightnin’ Hopkins, and Muddy Waters. When Rising Sons broke up, he began a solo career, issuing his first album in 1968. Taj Mahal has also worked with the Rolling Stones, Jesse Ed Davis, Eric Clapton, Etta James, and Toumani Diabate, and has scored the films Sounder and Brothers. Rokia Traoreis Bambara singer, songwriter, and guitarist born in Koulikoro, Mali on January 26, 1974.Her father was of the noble class and a diplomat and she traveled as a child to Algeria, Saudia Arabia, France and Belgium. Bambara nobility are not allowed to play music and there was no tradition for a woman to play guitar when she began publically performing as a singer/songwriter guitarist. She also plays the traditional African instruments the ngoni and balafon and sings in the Bamana language. She released her first album (Mouneissa) in 1997 She has recorded with the Kronos Quartet and in 2011 she wrote the music for Toni Morrison’s play Desdemona. Boubacar Traore is a singer, songwriter, and guitarist born in 1942 in Kayes, Mali. He was nicknamed Kar Kar (“the one who dribbles too much”) because of his peculiar soccer play. He taught himself how to play guitar and became a star in Mali in the early 1960s but made no recordings and had to work odd jobs to support himself and his family. When the opposition party overthrew the Malian president Modibo Keita, Boubacar, who was associated with the previous regime, was banned from the airwaves, and his popularity faded in the 1970s. In 1987 he was rediscovered via a profile of him on Mali TV, but shortly thereafter his wife died in childbirth and, grief-stricken, Boubacar moved to France and did construction work to support his six children. A British record producer discovered a tape made of his radio performances and tracked him down and he was signed to his first record deal in 1990. He was featured in the book Mali Blues and the 2001 documentary Je chanterai pour toi (“I’ll Sing For You”), as well as appearing in the film Blues Road Movie (2001). The Lijadu Sisters, Taiwo and Kehinde Lijadu, are identical twin sisters from Ibadan, Nigeria who performed from the mid-1960s until they retired from music in 1980. They performed with Ginger Baker’s band Salt at the World Music Festival at the 1972 Munich Olympics, and were one of Nigeria’s top stars in the 70’s and 80’s, and in 1984 released Double Trouble on Shanachie Records, and they moved to Brooklyn, New York, and performed with King Sunny Ade. They were featured in the music documentary Konkombé and in the Nigerian installment of the PBS documentary in Beats of the Heart in the late 1980s. Tinariwen (The Desert Boys) is a collection of Berber musicians formed by Ibrahim Ag Alhabib, who grew up in the Tuareg refugee camps in Algeria after watching his father’s execution when he was four years old during the Malian uprising of 1963. Ibrahim saw a western film around this time where a cowboy played a guitar, and he made his own out of a tin can, a stick, and bicycle brake wires. Ibrahim wouldn’t obtain his first real guitar until 1979. In 1980, he went to Libya for military training as part of the Tuareg army that would return to Mali to fight for the freedom of their homeland. There he met other musicians and formed a band that began writing and recording revolutionary songs on cassettes, which got copied and passed from hand to hand. In 1990, he and the other members of the band returned to Mali to fight for its independence. Following the signing of a peace agreement, the members of Tinariwen put down their rifles and began performing music full-time.